Dean Abed-Alazeez, Dean of Faculty of Engineering at Al-Quds University, visited Boston from December 13-24,2016. During his educational trip, he visited the engineering schools and spoke with faculty of MIT, Havard University, and Northeastern University. The goal of Dean Abed-Alazeez's visit was to start communications on increasing collaboration between Al-Quds University and American academic institutions to provide more educational opportunities to students of all universities. This visit was the Dean's first time in the United States. RECA is glad to provide this opportunity. Dean Abed-Alazeez wrote: "This is the first time I visited the United States. It was by far the best trip I have taken in my life. Thank you RECA board and sponsors. I am amazed at the level of education and technology provided to students. The United States is number one in its ability to educate. I am honored and thankful for all the Engineering schools, MIT, Harvard, and Northeastern, whom open their doors to us. I am so grateful to RECA for helping providing the opportunity to have these open conversations between Universities, between countries, that will provide academic exchange and more educational opportunities for all students. Thank you." On Tuesday June 28, 2016, RECA hosted a dinner reception to welcome to the Ambassador of Palestine in Rome, Italy. Before being an Ambassador, Dr. Mai Alkaila was a faculty member at Al-Quds University in the Public Health Department. 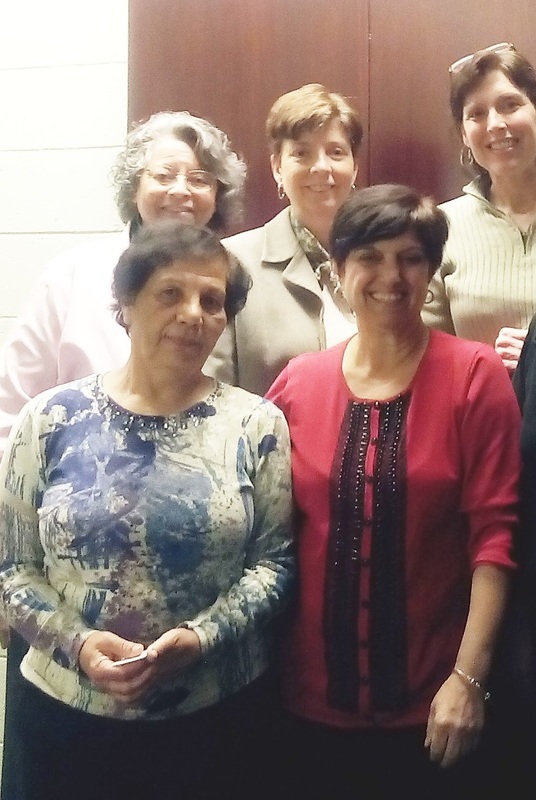 Dr. Alkaila spoke at the reception about the obstacles that challenged education in Palestine. The Palestinian people suffer and struggle daily to obtain the education that many of us in the United States take for granted. Dr. Alkaila praised the role of RECA in supporting reducing the barriers of students, including providing financial support, providing educational resources, and creating opportunities to build academic connections to the United States and other countries. She thanked RECA’s Board of Directors for their continuous work and encouraged people to support RECA in their mission to provide educational opportunities to students. "I would like to thank RECA for coordinating, organizing, and sponsoring my visit to University of Massachusetts Boston to follow up with Dean Anahid Kulwicki about developing a nursing program at Al-Quds University with a collaborative exchange program with UMass Boston's nursing program. My visit was very productive! I was fortunate to meet Dean Kulwicki and her staff, who were very helpful, collarbotive, and great. I look forward to strengthening the relationship with UMass and the academic exchange of faculty and students between our schools. I thank RECA, Dean Kulwicki, and the UMass Health Professions faculty and staff." From December 11th-18th 2014 as part of an on-going collaboration between Tufts University and Al-Quds University, RECA organized and sponsored the Dean of the Al-Quds Dentistry School, Dr. Musa Bajali, and faculty member, Dr. Ahmad Aweidah, to visit Tufts University’s Dental School. The visit entailed a tour of the school’s facilities and discussion for an exchange program plan for faculty, staff, and students. In addition, RECA organized a reception, where academic faculty from many schools attended to listen to Dean Bajali’s presentation about RECA’s and Henry Schein Cares Foundation’s support and aid for Al-Quds Dental School. "I would like to express my thankfulness on behalf of Al-Quds University School of Dentistry’s students and faculty to RECA for sponsoring/organizing/arranging my visit to Tufts University. I am thankful to have met with Dean Huw F.Thomas and Dr.Noshir R. Mehta as well as meeting with other dentist and health professionals in the Boston Area. I look forward to have our faculty, staff, and students come to Tufts University to learn from their great experiences and convey their knowledge with the Al-Quds community." "I would like to thank RECA for giving me this opportunity for an exceptional educational visit to Boston where I met great people from different academic institutions, especially Tufts University. I look forward to collaborate with Tufts University and to improve our school." 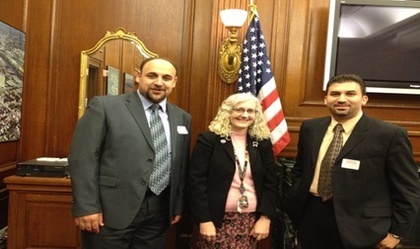 From July 8th-18th 2012 RECA sponsored the Dean of Al Quds School of Dentistry to visit Tufts University and Massachusetts College of Pharmacy and Health Sciences (MCPHS). During this visit, RECA arranged for the two schools to sign an Agreement of Cooperation to promote institutional exchanges of faculty, staff, and students, organize symposia, and carry out joint research. "I would like to express my gratitude on behalf of Al-Quds University, and more specifically on behalf of the School of Dentistry students and faculty, to thank RECA for sponsoring/organizing/arranging my visit to Tufts University and the Massachusetts College of Pharmacy and Health Sciences. I had unforgettable experiences during my visit to the US, and I am eager to share these with the Al-Quds community. We are looking forward to collaborating with Tufts University. I am sure our dental students will take advantage of the opportunities provided to further their education in the U.S at Massachusetts College of Pharmacy and Health Sciences." "I would like to thank RECA for providing me the support that allowed me to visit the U.S. This visit gave me a firsthand opportunity to see the resources which U.S schools have to offer. A particular highlight of my visit was the opportunity to visit the dental hygiene program at the Massachusetts College of Pharmacy and Health Sciences (MCPHS). I was impressed by their curriculum and am eager to use this as a model for a similar program at Al-Quds University. I was especially impressed by the advanced capabilities of the Tufts University lab. It was truly an exceptional learning experience for me , and I am looking forward to incorporate many of the tools and techniques here at the Al-Quds School of Dentistry." While there, they also had the opportunity to share information about the services and special needs of Al-Quds University Medical faculty and students, acquiring insight into ways to adapt and develop when resources of all kinds are scarce. ​In all, both teams learned extensively about the riches and rewards of their respective cultures. But, most importantly, they shared invaluable information about the most basic of human values: providing and maintaining the health of the communities of people that they are commissioned to serve. ​"I would like to express my profound gratitude and appreciation for your warm welcome that we have received during our visit to the United States. We, at Al-Quds University, take pride in friends like you who are consistently supporting our academic institutions. During our visit to Massachusetts General Hospital (MGH) and to colleges and universities in Boston, we had memorable and valuable experiences that we will share with our colleagues at Al-Quds University and with other university faculty and students. You kindly exposed us to many advanced applications of nursing as well as other health professions, which have succeeded in expanding our boundaries as academics and researchers. From this experience, we intend to invest our efforts in trying to improve overall capabilities and services and we look forward to your offer to continue to build unique collaborations. Please know that Al-Quds University welcomes RECA and those with whom it partners at any time." "What a wonderful opportunity RECA provided for the faculty at Al-Quds University. Because of the tremendous need we have to substantially improve the nursing profession in Palestine, we especially appreciated learning about the various Ph.D. programs in Nursing and about the simulation labs. We know that some of our staff will apply for the Ph.D. programs in order to continue growth and knowledge and to take full advantage of the opportunity to the benefit Al Quds University and its community. We hope to see you all again. We thank you for this opportunity and we extend our very best regards to everyone on RECA's board of directors who were so very generous. "